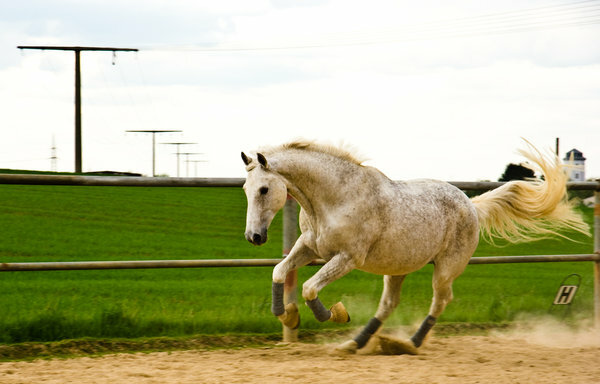 Worms in horses are common as they are easily picked up from the environment when the horse is grazing. They are a serious detriment to your horse’s health as they cause weight loss, anaemia, stunted growth and colic, and therefore it is important to regularly use an effective horse wormer. 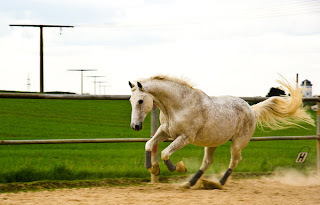 There are many types of horse wormer to choose from and come in a variety of suspensions. It is a good idea to change the wormer you use every so often to prevent resistance which can occur and to also ensure your horse is adequately protected as each wormer will not cover all types of worms. Strongid is a paste wormer which is great for fussy horses that will not eat their food when wormer granules have been added. The syringe should be inserted into the corner of the mouth, which should ensure it is swallowed. It provides protection against small and large strongyles, large roundworms and pinworms. This wormer should be used every six weeks on horses over eight months and should be given every four weeks to foals (2-8 months). Younger horses are much more susceptible to worms than older horses and it is important to regularly clean faeces from the paddocks and ensure that worming treatments are up to date for all of the horses that share a paddock as worms are easily transmitted through faeces. Ideally all of the horses should be wormed at the same time to prove most effective. If your horse is pregnant then it is important that you speak to your vet to ensure the wormer is safe to use. Eqvalan is safe to use on pregnant and lactating mares and provides protection from; roundworms, lungworms, threadworms, bots, hairworms, pinworms, small and large redworms, neck threadworms, intestinal threadworms and large mouth stomach worms. Eqvalan Duo is safe to use after the first three months of gestation and during lactation and provides protection against the same worms as Eqvalan but also tapeworms. Whichever wormer you choose just make sure you are aware of which worms they are effective against as each wormer will protect against a different variety of worms.